The law requires that schools and local authorities ensure that deaf children are not placed at a substantial disadvantage in accessing teaching and learning. They are required to use “best endeavours” to ensure your child makes good progress and does well. 1) Having high expectations for your child: Education inspectors throughout the UK now require schools to have high expectations. Schools should be expecting deaf children to make at least the same rate of progress as other children and seek to close any attainment gaps with other children that may exist when your child starts school. 2) Deaf awareness training for staff and other children: Young deaf people have told us lack of deafness awareness is one of their biggest concerns at school. School staff and other pupils in the class need to have an understanding of the impact of your child’s hearing loss, how to make your child feel included and crucially how to communicate. Teachers of the Deaf are well placed to provide training. 4) Good listening conditions and lighting: It is important for schools to know that technology does not replace normal hearing and its effectiveness depends on the acoustic quality of classrooms. Schools can take steps to reduce background noise and reduce reverberation (echo effect) in classes. Advice can be found in our advice to schools. Good lighting is important for lip reading and for children who rely on signing. 5) Knowing your child: It is important that your child’s teachers and teaching assistants have an understanding of your child’s deafness, likes and dislikes, strengths and weaknesses and how they communicate. Many parents have found it helpful to prepare a personal profile of their child to give to the school. 6) Social and Emotional Support: Emily’s last blog described the important role school staff had in giving her the confidence to speak up for herself and make friends. Regular deaf awareness training can help and our guidance to schools sets out what they can do to support a deaf child’s social and emotion development (See page 32 of our advice to primary schools). 7) Support from a Teacher of the Deaf (ToD): Many school staff have limited knowledge and experience of teaching deaf children. Specialist ToDs can give advice on understanding your child’s needs, how to ensure good progress is made and how your child is can be fully included in the life of the school. 8) Inclusive teaching: Teachers will need to adapt the way they teach to ensure your child learns. This is required by law under the Equality Act 2010. Our advice to schools outlines possible teaching approaches (see page 12 of our advice to primary schools). 9) Help from a teaching assistant (TA) or communication support worker (CSW): Depending on your child’s needs, they may be allocated a TA or CSW. 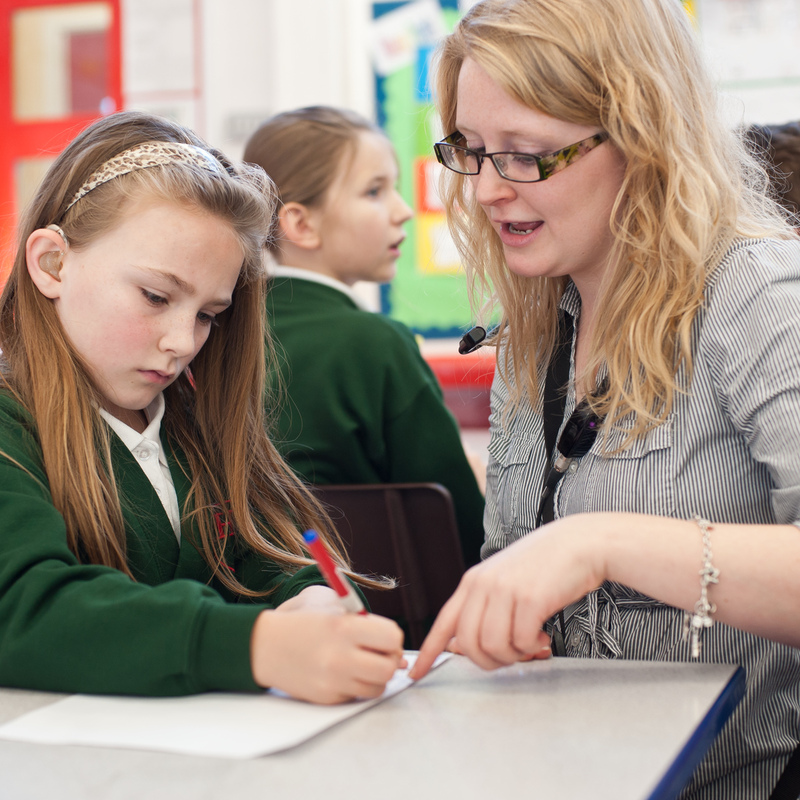 TAs/CSWs play a crucial role in ensuring lessons are accessible to deaf children. They support learning and help with a child’s social and emotional development. For children who sign, having a CSW with a level 3 BSL qualification (equivalent to A level) is important. It would be difficult for a CSW with a level 2 qualification to interpret accurately what a teacher is saying and it would be impossible to do this with Level 1 skills. The school should be acquainted with the National Sensory Impairment Partnership’s advice on effective working with TAs. 10) A focus on language development: Language lies at the heart of learning. To learn you need to understand the language the teacher is using. To write you need language. It is critical that the school focuses on developing your child’s language to ensure they don’t fall behind. 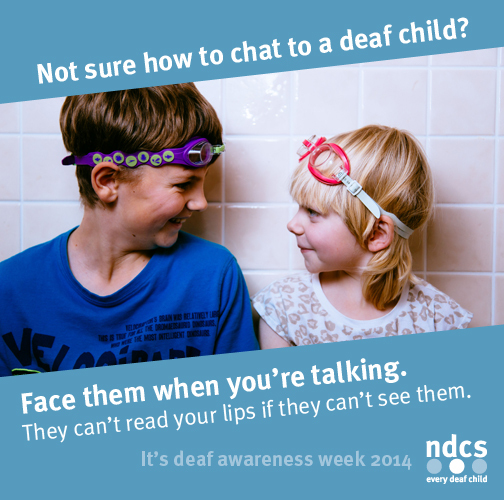 ToDs can help with this and many parents have found support from a speech and language therapist to be very helpful. 11) Including you as a full partner in your child’s learning: You will have important information about your child that will be helpful to school staff. Schools need to advise you on how you can help with your child’s learning and inform you about progress and any difficulties. Many parents have found use of a home-school daily notebook helpful. A number of parents and schools have found “structured conversations” extremely successful. These are our top suggestions. You may feel that we have missed important things out. Given a limit of 11 asks what would you delete and add in? Please let us know. This entry was posted in Campaigning, Education, Uncategorized and tagged Brian Gale, deaf, Deaf Children, speech and language, Teacher of the Deaf. Bookmark the permalink. Some great advice here. The role of the Teacher of the Deaf is essential as this post makes clear. SENCos will always be able to contact the local service if a ToD is not already involved.